Where can I buy those mini advent calendar cards? 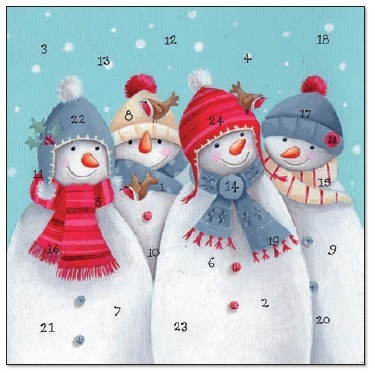 Phoenix Trading fans will be familiar with the mini advent calendar cards or advent cards that were an original invention and design from Phoenix Trading artists and designers. The great news is that Flamingo Paperie, the company that rose from the ashes of Phoenix Trading released mini advent calendar card designs for Christmas 2017 and now for 2018! UPDATE: Online ordering was available from January 2018. To order current Christmas range including advent calendar cards please visit my online shopping site (UK delivery addresses). 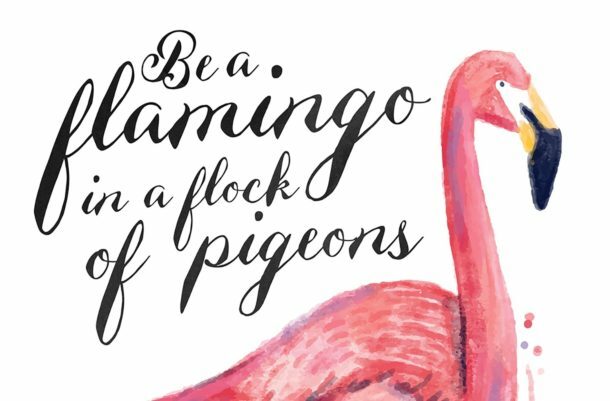 Don’t miss out on the latest Flamingo Paperie news – sign up to my newsletters and/or follow me on facebook today. The CUSTOMER CLUB is due for an exciting launch in 2018! Advent cards are mini advent calendar cards. So much easier and cheaper to post than a large advent calendar, but so much more fun than a regular Christmas card. 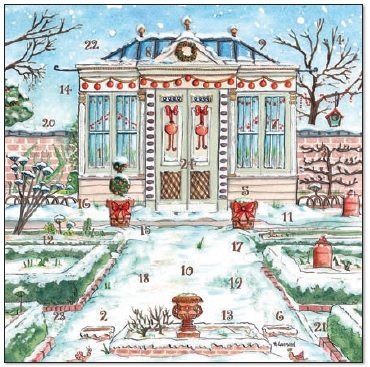 The design allows for 24 numbered windows to be popped open from December 1st in a fun Christmas countdown. Each window opened reveals a more detailed image or illustration. 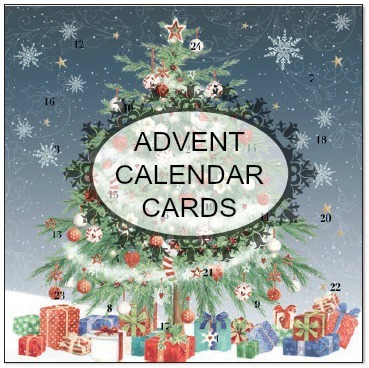 Advent calendar cards cost just £2.75 each, they measure 6x6″ or 152mm square. View images above or click to view and order online. NB Online ordering available in the UK only at time of writing post! 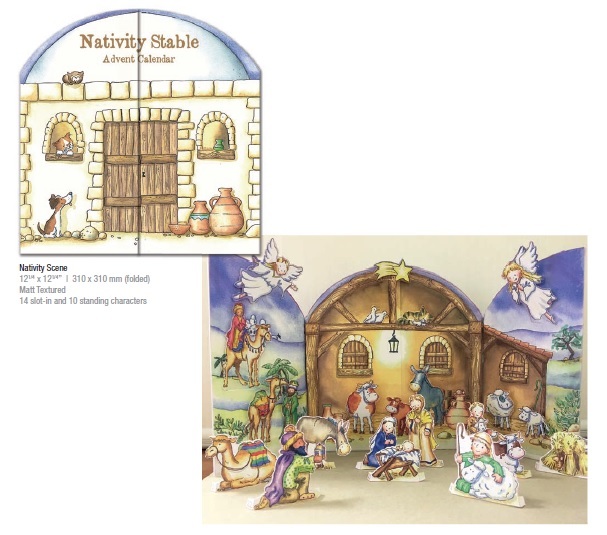 Great news – there is a new design of a Traditional Nativity Advent Calendar being released for Christmas 2017 by Flamingo Paperie. 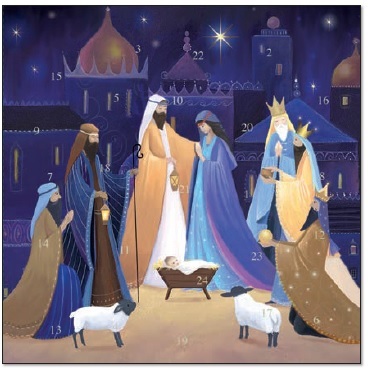 The Traditional Nativity stable advent calendar (image below) features 14 slot-in and 10 stand-up characters. The price is just £9 per calendar. Size is 310mm x 310mm when folded up so takes up more room when sides are folded out for display and adding characters during the Christmas countdown. Great value = pack up carefully and re-use year after year! 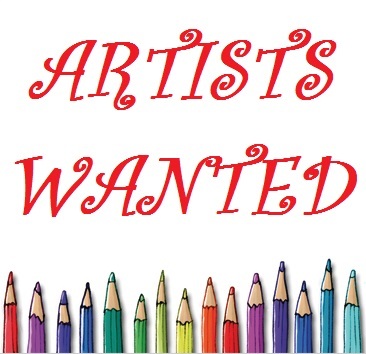 To see more designs – click the link below the image to the online brochure. To order online make sure you register for updates. 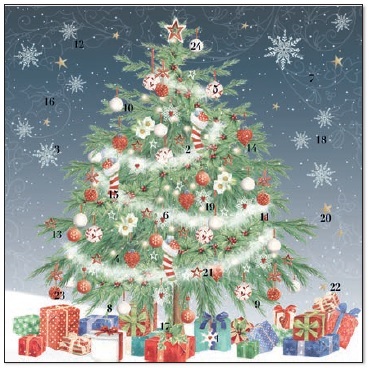 Click to view full range from Flamingo Paperie - Christmas available from August/September each year.